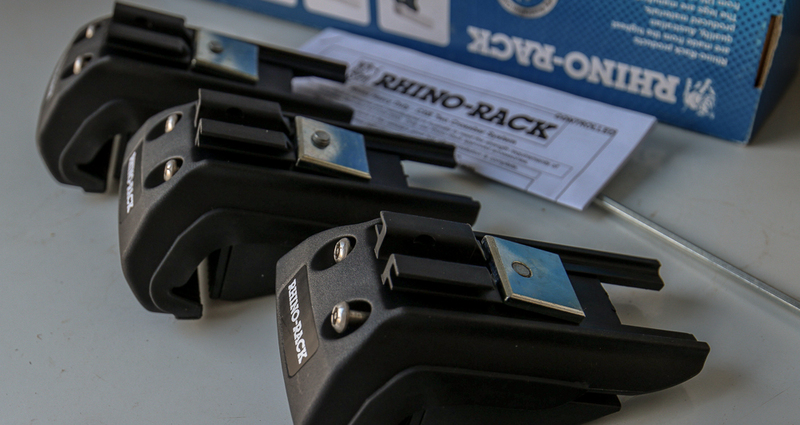 Recently, we went over the full review on the Rhino-Rack Pioneer. 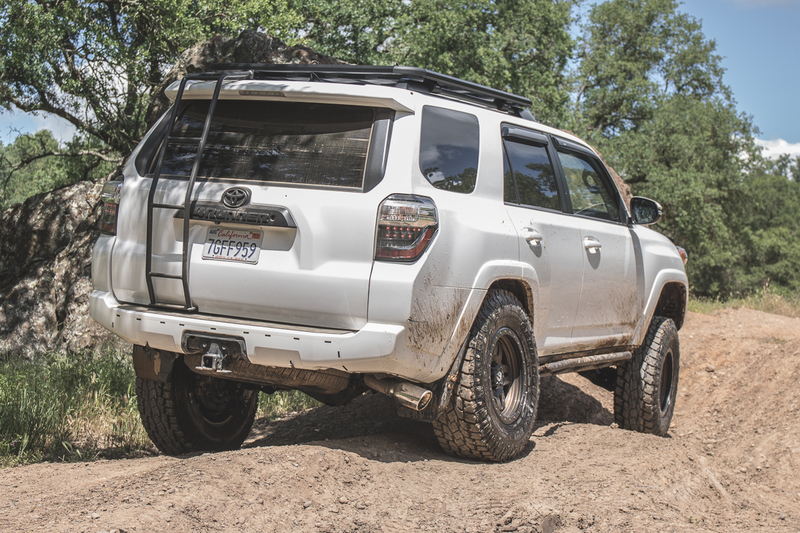 This rack is fully capable of competing with some of the other off-road racks that are commonly installed. We discussed the differences between the Rhino-Rack, Front Runner Slimline 2, Gobi Stealth, Baja Rack and the K9. 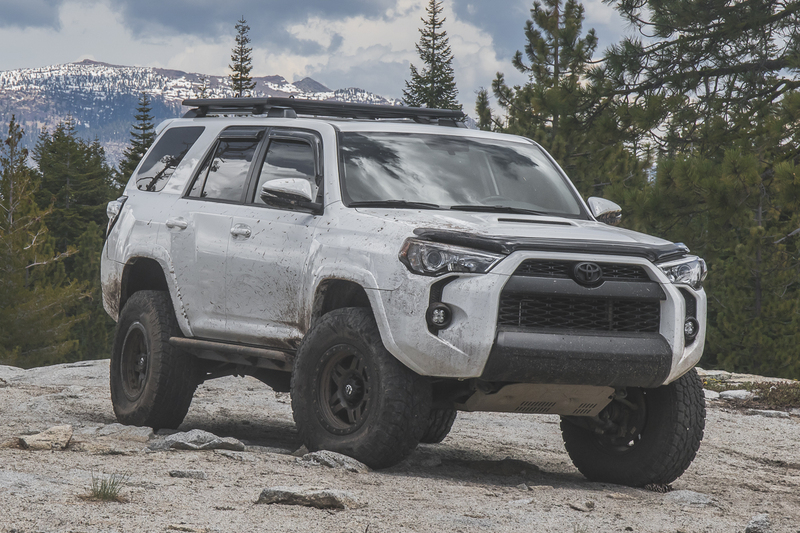 These roof racks are all well-made utility racks for the 5th Gen 4Runner. We decided to go with the Rhino-Rack with the Backbone Mount System but they were back ordered on the backbone mount. 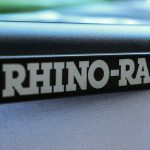 The Backbone Mount System is relatively new to the Rhino-Rack Pioneer Platform lineup. 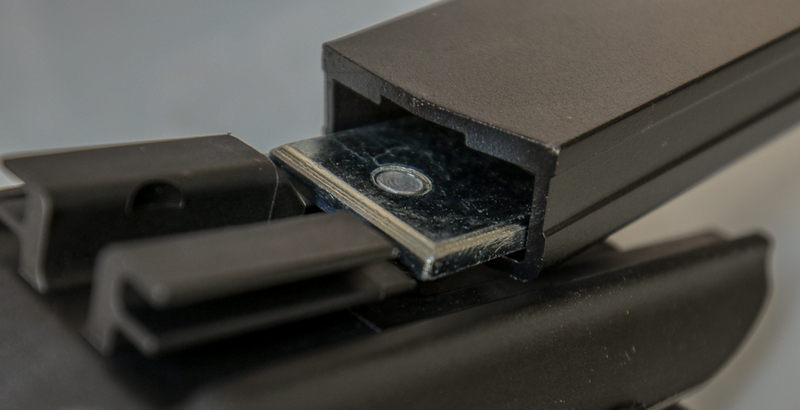 The Backbone Mount removes the factory rail system (like most top-level racks) and is then replaced with factory bolt placements. 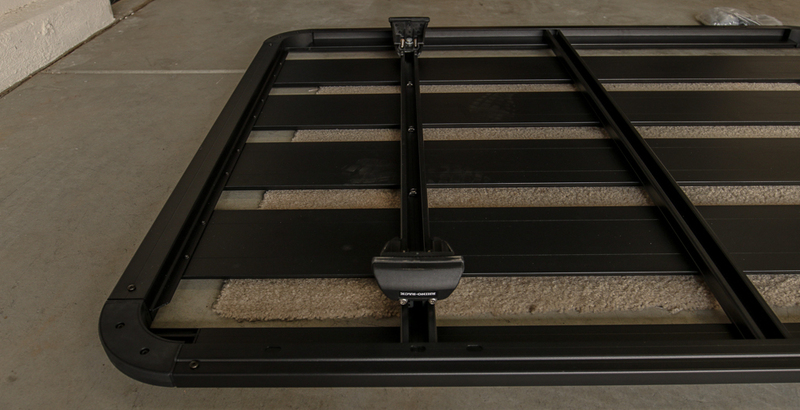 The biggest difference between the Backbone Mount System and the Factory Rail Kit system is load rating. 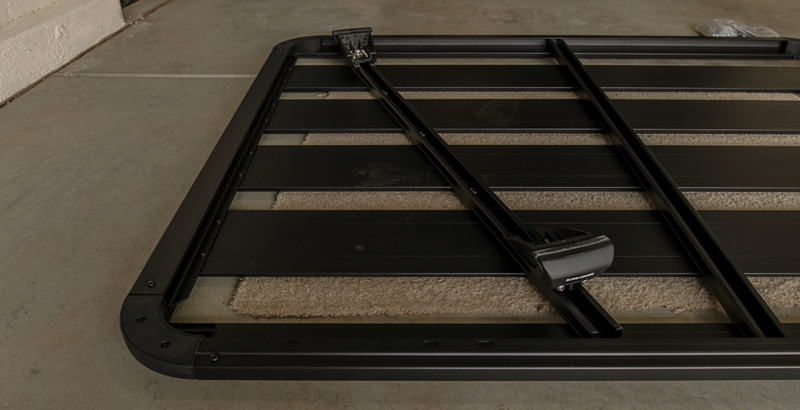 The Backbone Kit has a load rating of 700lbs while the factory rail mount system has a load rating of 175lbs. We wanted to move forward with this rack because it is incredibly slim, lightweight and has a competitive load rating among the other major rack brands. Being that they were out of stock on the backbone mount system and we already had the Rhino-Rack Pioneer Platform, we had to get something. So, we opted for the CXB leg kit. We mounted up the Rhino-Rack with the factory rail mount CXB leg kit system and it looks great. 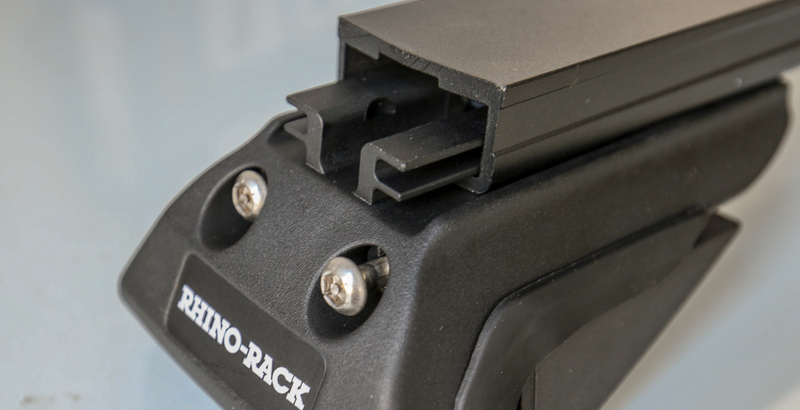 From functionality to looks, the Rhino-Rack with the factory rail kit is still a great choice and much cheaper. 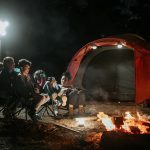 The biggest difference in functionality is whether or not you are going to mount a tent on top of your rack or will be standing on top of it. If you are planning on mounting a roof-top tent or standing on your roof rack often, buy the Backbone Mounting Kit. 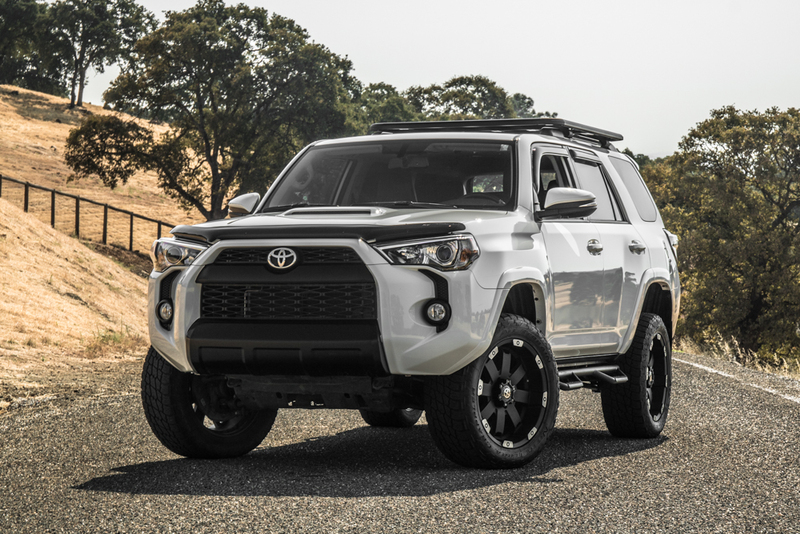 After installing our new set of tires (Toyo Open County AT ii – 285/75r17) and wheels (Fuel Anza Bronze 17×9 -6), we should have a completely new look for our 2014 Trail 4Runner. Also, we have an upcoming Icon Suspension to replace our ToyTec Leveling Kit. Pretty stoked for this all to come together. For now, let’s jump into the install on the Rhino-Rack + CXB Leg Kit. 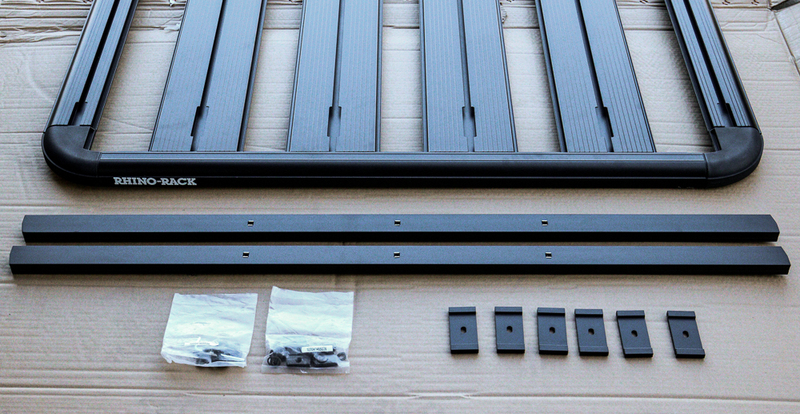 In another post, we will be doing an install of the Rhino-Rack + Backbone Kit. 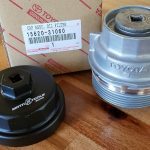 The first and most important thing when starting any projects is making sure you have all your parts. The Rhino-Rack Pioneer came separately for us, so we made sure everything was in the box for the rack first. Unpack your Rhino-Rack Pioneer and make sure everything is organized and ready to go. Same goes for your CXB Leg Kit. This one is pretty self-explanatory. There are four legs and one universal allen tool. 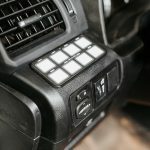 The first step for this incredibly easy install is to slide your legs onto the Pioneer Rack Crossbars. There is a metal spacer bracket that bolts down to the Pioneer Rack Crossbars. Slide the Pioneer Rack Crossbars under this section and then under the plastic section as well. They just slide right on. A piece of cake. Repeat this process for all four legs. Once your legs have been added to your Pioneer Rack Crossbars, hand tighten your legs to the crossbars. If you do not hand tighten your legs to the crossbars, the legs will slide back and forth while you are measuring, and adjusting a few other items. With the legs hand-tight, you will still be able to slide them around for adjusting the width of the legs. Repeat this process for all four legs. Once you have your legs on your crossbars, drop the cross onto the rack, while the rack is upside down. You want to start with the crossbars at an angle so that you can swing them perpendicular to the stationary crossbar. 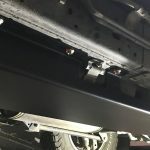 The crossbar will slide underneath the edge of the Pioneer roof rack under-rail to which you will bolt down with given hardware and a spacer. Step 6A – Drop in spacer provided perpendicular to the crossbar. Step 6B – Drop washer onto spacer. With the index finger, turn spacer 90 degrees. You will not have to do this step, as we did it for you. The distance from the center to center on the factory roof rails is about 41.5″. So, you want your width of the openings on the legs to match up with this. BEFORE YOU DO THIS STEP: Open up the spacing of the legs all the way. Using the provided allen, loosen up the leg space on all four legs before bolting down. This will open up the legs and allow the rack to drop right into your factory rails. MEASURE & BOLT LEGS: Set legs about an inch away from the edge of the rack. This will give you 41.5″ on dead center. 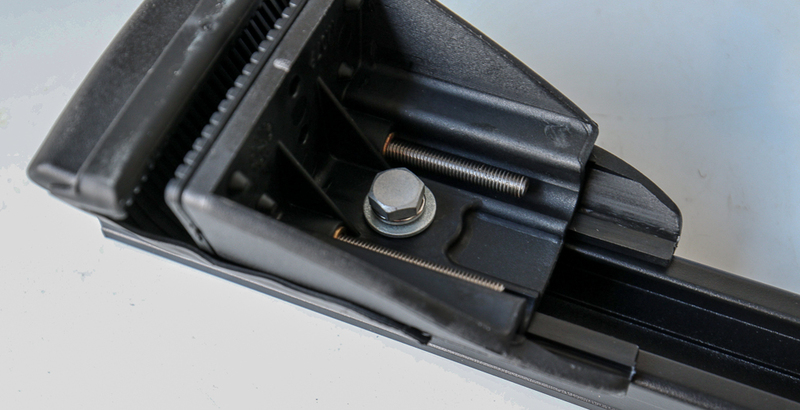 Using a 1/2″ socket, bolt down the legs to the crossbars once you have the perfect inch spacing. 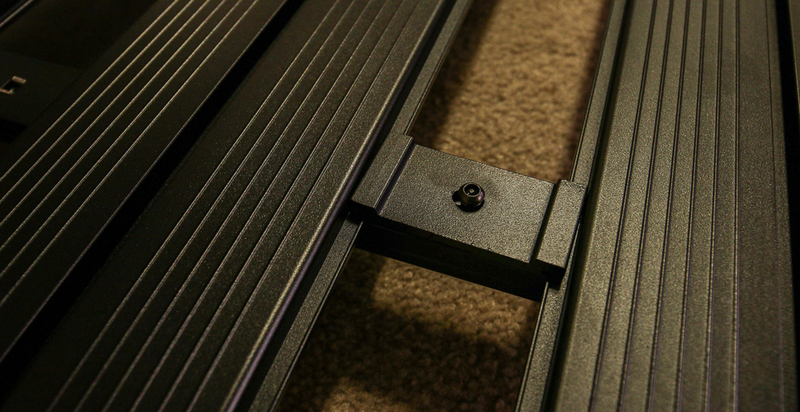 Once everything is buttoned up below, turn your rack over and mount your brackets from the top down. Step #10 – Mount The Rack! Everything should be nice and tight. Ready to mount! Using two people, lift your pioneer rack up onto the factory rails. Everything should line up perfectly. If the legs do not automatically seat into place, just give them a little pressure and they should pop right in. Once all of your legs are into place, you can tighten down the legs to the factory rails. 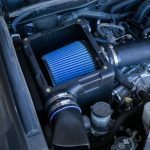 Super clean, low-profile, easy to install and affordable. What’s not to love about this rack. 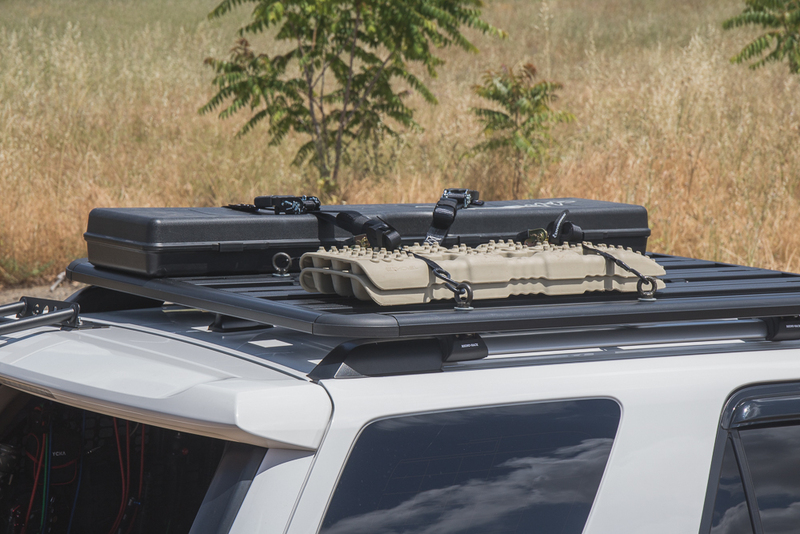 You can also buy additional hardware for the Pioneer Roof Rack that allows you to strap down just about anything you can imagine. I think this a great start for anyone looking to install a rack while not spending over $1000. 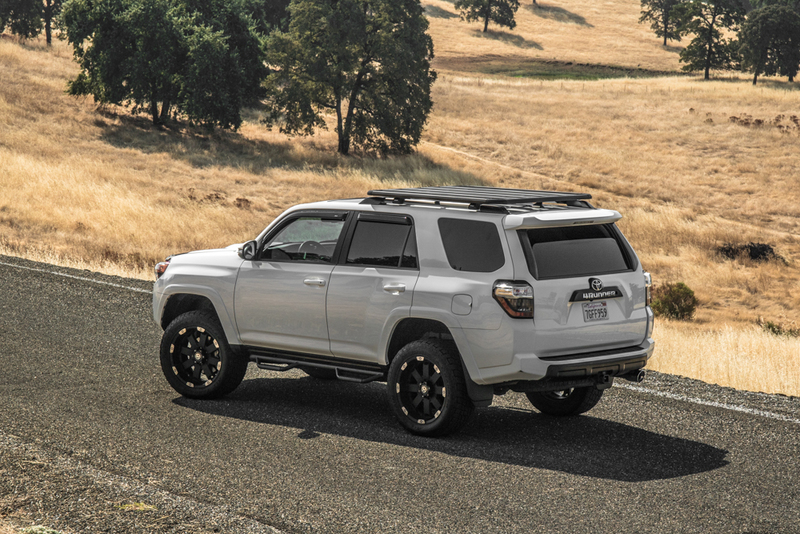 This is a great introductory roof rack that will serve well for most uses for the life of their 4Runner. Also, if you ever want to go another direction, it is super easy to take off and mount a new rack on. Try it on for yourself and let us know what you think. 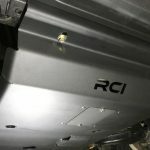 We have not taken it off-road yet or used the Rhino-Rack Pioneer mounting brackets, but as soon as we do, we will write another post on that. As for the on-road performance, you can hear a little bit of wind drag but that is normal with any roof racks, even with wind deflectors. 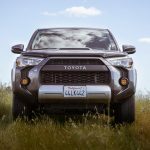 Once you start adding aftermarket parts to your 4Runner, things are just going to be a little different. The wind is definitely not bad, you can just hear it. On a level 1 – 10, I would say it’s about a “2” noise level. Paul, yeah man. I installed the Gobi with this rack. You can see that post here. Does the 76″ x 49″ interfere with a sunroof if you have one? Not at all. The next size up would. Hey, so the 84 would interfere with the sunroof? In what way? I’m trying to decide which one to purchase. 76 or 84? The 84 would sit over the moonroof causing some extra wind noise, I would think. 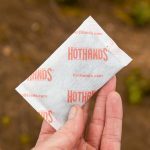 If you are cool with extra wind noise, it may work for you. Thanks, I did some measuring and it looks like the 76 would sit about half way across the moonroof. You wouldn’t notice it when driving. The 84 would sit right above your sight line if you look up. I am a stickler for noise so maybe the 76 would be the way to go. did u have any issues eith the cxb leg kit not clamping down all the way on the factory rails? mine doesn’t seem to hook all the way under. Yeah, ours did not clamp down underneath either. But, with all four corners clamped down, the rack is solid. I have had the Rhino-Rack mounted for almost a year and not one issue. Solid rack man. At almost a year, has your opinion of this rack changed at all? Have you purchased more accessories for the rack? 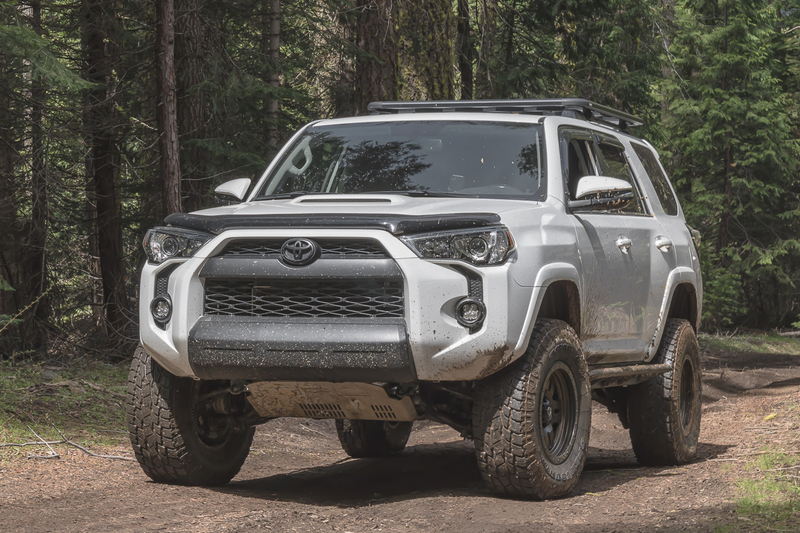 I’m looking at this rack for my 5th gen and am looking at including the new Pioneer Platform fairing and the Hi-Lift jack mount for starters. Appreciate the great write ups! ive had my rack for a little over a month now and i love it. purchased a shovel mount and also made a custom bracket to mount my water tank. only thing i was worried about was over tightening or not tightening the clamps enough. be careful when you install it as i placed it too far forward and it scratched my sharkfin antenna a little. Matt, I really did enjoy this rack while it was mounted. I didn’t have anything permanently mounted, but I had about 8 eye bolts and strapped a bunch of gear up there. I mounted recovery boards, storage boxes, storage totes, Christmas tree, Home Depot runs, etc. and everything worked as advertised. It was a really nice, simple, low profile platform that worked for my needs at the time. The only downside is you shouldn’t mount an RTT up top, but for some people, that doesn’t really matter. At the end of the day, I would recommend this rack for sure. Paul, It is currently for sale for $650 (still available in Sacramento if someone wants to take it). With 8 eye bolts and the CXB leg kit, the total was $950 +tax. You’re basically getting the leg kit and the over-priced eye bolts for free. Updated the post with some current shots. Any negative reason why you’re selling it now? I’m about to pull the trigger on one with the backbone system and I don’t want regret it a year later when it cost me $950. No reason other than I am ready for a change and I have an opportunity to have a custom full-length built for a good price. It’s a really nice rack and I will miss it for sure. Good to know, It seems to be a excellent rack for its price. I appreciate the reply. Is there any alternatives to the rhino rack eye bolts? They seem overly expensive. Pretty sure it’s actually up for sale. Can’t speak for Brenan as to why, but it’s been listed on Overland Market. Yes, I saw this on the Overland Market Instagram after I put my order in. No worries, I’m looking forward to getting mine set up. Wish I saw this earlier, I need a rack! I pulled the trigger with this recommendation. Love the low profile look. Shane, Some ambiguity here. Do you mean by “interfere” it prevents the sunroof from opening or do you mean will it cover all or part of the sunroof window? The front edge of a 60″ rack is just aft of the sun roof, so . . . The other “interfere would probably depend on the way the rack is mounted and I doubt you would/could mount the 79” Rhino-Rack on the stock roof rails. What are the wheels in the top picture? 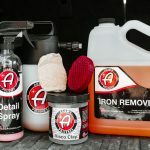 ATX – atxwheels.com. I think those are discontinued, though. noooooooooooooooooooo….yeah i finally found it in another post and checked their site and couldnt find them. Thinking if I can find the exact model, maybe I can find someplace that has a set sitting on the shelf. really like those wheels. btw – love your site…keep up the good work.. Does anyone know which slots I should use for the legs? Does it matter? I have the 42100B model (60×49). 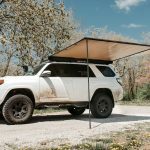 Will this hold a roof Top tent weight? Can it hold it? Probably. Is it recommended? Definitely not. For an RTT system, you should look at the backbone system if you want the Rhino-Rack. I just installed this earlier today. I used the SX100 legs with vortex bars. Rhino Rack, etrailer (awesome CS), etc have this as a specific package now with the legs, bars, adapter kit packaged together. This is different bar and legs than what’s described here. The SX100 legs actually do clamp properly the the 4r factory rails. Also, you will HAVE mount the bars and legs first, then the platform. The platform will sit over the clamp adjustment which is why. I love the looks, no noise,etc. 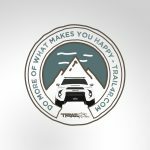 Thank you trail4runner for this write up or I may have ended up with something different. I’m getting a lot of wind noise and somewhat regretting purchasing the 76 inch Pioneer Platform. If I use flaring to reduce the wind noise it makes my sunroof obsolete. Does anyone have any suggestions? I only notice wind noise it I have the sunroof up. I bought the fairing but not sure I’m putting it on yet. Thanks. I think the difference is that the platform runs across the sunroof. I can hear a lot of wind noise when the sunroof is closed. It is actually quite bothersome.